What is the Rental Policy & Agreement (RPA) form? This agreement constitutes a contract between the Guest(s) and My Mountain Cabin Rentals, LLC. You can view our agreement by clicking Terms and Conditions. What are the office hours and location? Office Hours: Monday thru Friday 9 am to 5 pm, Saturday 9 am to 3 pm and Sunday 9 am to 1 pm. We are located 90 minutes North of Atlanta just outside Blue Ridge, GA 2 miles off Hwy 515. The My Mountain Cabin Rental office is located at the base of "My Mountain". For directions, click Driving Directions. If you have any questions or need further assistance, please call our office toll-free at 800-844-4939 or 706-374-4111. How do I get directions to the cabin? You will be provided directions to your cabin through the confirmation email when you reserve on-line. Can we accommodate "groups" in cabins close to each other? Yes, we have rental cabins located within a "stone's throw" of each other to accommodate church groups, friends and family reunions. Your reservation must be paid in full the day of arrival. We accept Visa, MasterCard, Discover & exact Cash. A 25% deposit is required to confirm your reservation at the time of booking. You can reserve your cabin on-line at www.1MyMountain.com or call us at (800) 844-4939. If you choose to book your reservation on-line, you will receive a confirmation email immediately, please review to make sure all information is correct. If any information is not correct, please contact our office as soon as possible by calling us at (800) 844-4939 or email us at [email protected] . All My Mountain rental cabins are fully equipped including Central Heat and Air Conditioning, WIFI or DSL & Satellite TV. All our cabins provide bed linens, towels, blankets and pillows. North Georgia My Mountain Cabin Rentals provides a "start up" supply (1 to 2 days) of paper products, soaps, detergents, cleaning chemical, plastic trash bags and spa tub chemical shock. We try to supply "Green" products where possible. You will want to bring your personal items (shampoo, hair dryer, toothpaste etc.) and grocery items (there are 4 grocery stores & 3 pharmacy's located in Blue Ridge). Do we have pet friendly cabins? 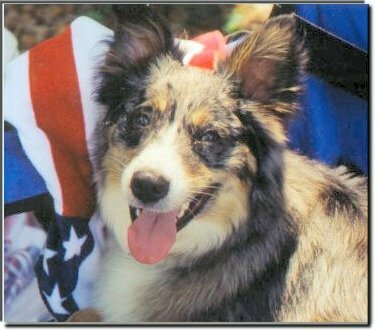 YES...Almost all of North Georgia My Mountain cabins are pet friendly but a few do not allow pets for medical reasons of the owner. Please refer to the profile description of the rental cabin you are selecting. We ask that you do not leave your pet unattended and if you leave the cabin without your pet, please place your pet in a pet safe crate or kennel. Some pets experience "separation anxiety" and can cause damage when left in unfamiliar surroundings. Fannin County has a "leash-law" ordinance that should be observed for the safety of the pet. ATV's are permitted at some cabins but you are asked to respect the roads & residents living in My Mountain and surrounding neighborhoods. ATV riding is subject to Georgia and Fannin County laws. Check with local law enforcement officials for details. Cell phone service can be somewhat sporadic in the North Georgia mountains. 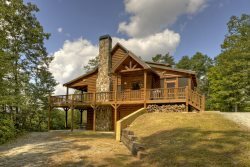 Verizon and AT&T provide the best service at most of our North Georgia mountain cabins. Nextel, T-Mobile & Sprint do not work at all. Each cabin has a land-line provided for l0cal, collect, credit card and 800 calls. All My Mountain rental cabins are located about 10 minutes from Blue Ridge in the north Georgia mountain top neighborhood called "My Mountain". You do not need any special or 4 wheel drive vehicles. While some cabins are located on paved roads, there are some on gravel so if you plan to ride your motorcycle (we have a comprehensive Motorcycle-specific road map for bikers, just ask for it at check-in), please call us for the "motorcycle/trailer friendly" cabins. Firewood is not provided for fireplaces or fire pits; however, local gas stations and grocery stores sell small bundles of fire wood year round. Please note, if you use an out door fire pit, you are responsible if any "wild fires" starts and subject to charges/fines by Department of Forestry and local fire authorities. If you are not proficient at starting a fire, we suggest purchasing "firestarters" or small "Duraflame" type commercial logs. DO NOT USE ACCELERANTS OF ANY KINDS WHAT SO EVER. Charcoal is NOT provided for cabins with charcoal grills. Propane IS provided for gas grills. Each My Mountain rental cabin has a grill and refer to the description of the rental cabin you are interested in. Yes, you will find instructions in your confirmation telling you how to check-in after the North Georgia My Mountain cabin rental office is closed. Make sure you bring your My Mountain Cabin Rental office and rental cabin directions with you. You must call us the day of your arrival to advise you will be arriving late. It is My Mountain Cabin Rental's policy to drain, sanitize and refill the hot tub after each guests departure. If a guest is checking out immediately before your arrival, the water temperature might be below 100 degrees when you arrive but it will heat up within a few hours. If you request to have your hot tub drained and refilled during your stay, there will be a $35 charge. Please refer to the white binder book in each rental cabin and the Hot Tub precaution sign located near the tub and observe the rules. North Georgia My Mountain Cabin Rental provides "chemical shock" for guests to use at the end of the evening's use. Check-out time is at 10 AM, it is very likely that another party will be checking in at 3 pm. Should you accidently leave something behind in the cabin, please call My Mountain Cabin Rentals office immediately and we will make every effort to locate it for you. If the item is not found by our cleaning staff prior to the next guest's arrival, it may not be there when they leave. My Mountain Cabin Rentals of North Georgia cannot be held responsible for any lost items. We will be happy to package & return your item(s), charging a $20 handling fee plus postage charges to your on-file credit card. Can I buy alcohol in the North Georgia Mountain Blue Ridge area? All My Mountain rental cabins are NON-SMOKING and this policy is strictly enforced. Smoking is allowed outside on the porches and decks. Please do not dispose of the cigarette butts in the yard or surrounding grounds. If cigarette butts are found on the grounds, an additional cleaning charge will be incurred. All of My Mountain rental cabins are individually owned and furnished so each rental cabin offers different amenities. Please refer to each cabin's individual description on our website. All cabins offer, WIFI, satellite TV, CD players, washer, dryers, dishwashers, central HVAC. Cabin rates can be found on our website and are subject to departure cleaning fees, damage protection waiver fee and state & county tax. Our rates are based on 4 adults. Can you use Mapquest / GPS while in the North Georgia Mountain Blue Ridge area? We do not recommend using any satellite generated GPS device or internet generated mapping system. These services do not generally recognize our roads and you could end up in some place you dont want to be. Please follow the directions we provide for the exact location of the My Mountain Cabin Rental office and the cabins. You will be provided with a 24/7 contact telephone number for situations when you need to contact My Mountain Cabin Rentals immediately. For police, fire or emergency medical services - dial 911. You will find an address card listing the cabin's 911 address along with emergency telephone numbers for Veterinary Service, Poison Control and after-hours walk in clinic inside each rental cabin by the main floor-level phone. Does My Mountain Cabin Rentals offer gift certificates? Certainly, gift certificates are a thoughtful and unique gift to offer someone. Please contact My Mountain Cabin Rentals toll-free at 800-844-4939 or email us at [email protected] and we will be happy to assist you with this. Are there age restrictions on renting a cabin from My Mountain Cabin Rentals? Yes, you must be of "legal age and responsible" so we will not rent to anyone under the age of 25 years. The person making the reservation must be one of the guests who remain with the rental party throughout the stay. Please do not ask to rent a rental cabin for high school or college parties as guests will be asked for proof of age at the time to check-in. Our My Mountain rental cabins receive bi-monthly pest control services. Due to the nature that the cabins are located in the North Georgia mountains surrounded by woods, you will most likely encounter some pests of different kinds around the property. Spring and Fall are ladybug seasons in the North Georgia mountains. Everything possible will be done to reduce the ladybug population in and around the property, however, during brief times of the year, you could see ladybugs in or around the cabin. They will not bite or sting. All My Mountain Cabin Rental cabins are located on a mountain top so you could encounter deer, racoons, turkeys, bear, coyotes, snakes, wasps, scorpions, ants, chiggers, etc. Our rental cabins are located in a log cabin neighborhood and maybe near other cabins. You may encounter some level of construction (noise travels easily in the mountains like it does on water so please respect your neighbors) underway at any given time. Unfortunately, we have no control over this and have no way of knowing if and when construction may begin near our cabins. Check-in is at 3 PM. Please do not attempt to check-in early unless previous arrangements have been made. We will make every effort to accommodate your request but it can not be guaranteed. Please feel free to call us the day before your arrival to verify if an early check-in is possible. Remember to bring your directions we provide with you. Check-out is by 10 am. It is our mission to provide the cleanest accommodations possible and in order to do that, we ask that you check-out at 10 am. This gives housekeeping the necessary time to clean the cabin & drain/sanitize/refill the hot tub in time for the next guest. Please help us and housekeeping meet their schedule without inconveniencing the next guests by checking out on time. Should you desire a late check-out, please inquire with out staff at the time of check-in to see if it is possible and what the extra charge will be. ALL CANCELLATIONS MUST BE MADE IN WRITING - E-Mail or Certified Mail. A $30 administration fee is assessed for any cancellations or cabin/date changes. However, if Guest(s) cancel less than Thirty (30) days prior to their arrival date, there will be no refund. We will modify your reservation for a future date to be used within one year from the original arrival date, using the balance of the deposit towards the modified stay. For a refund deposit, cancellations must be in writing and sent by certified mail 30 days or more prior to arrival date (less a $30 administration fee) to: My Mountain Cabin Rentals, LLC, 3945 Old Loving Road, Morganton, GA 30560.